Permits have been filed for a six-story mixed-use building at 68 North Henry Street in Greenpoint, Brooklyn. The site is half a block from Greenpoint’s Southeast border with Williamsburg, along the Brooklyn Queens Expressway. Builder Moshe Katlowitz will be responsible for the development, and today, YIMBY also has the first rendering for the project. The 70-foot tall structure will yield 9,770 square feet of space, with 2,120 square feet dedicated to the ground floor medical facility use, and 7,660 square feet for residential use, with uunits averaging 1,094 square feet apiece, indicating condominium use. 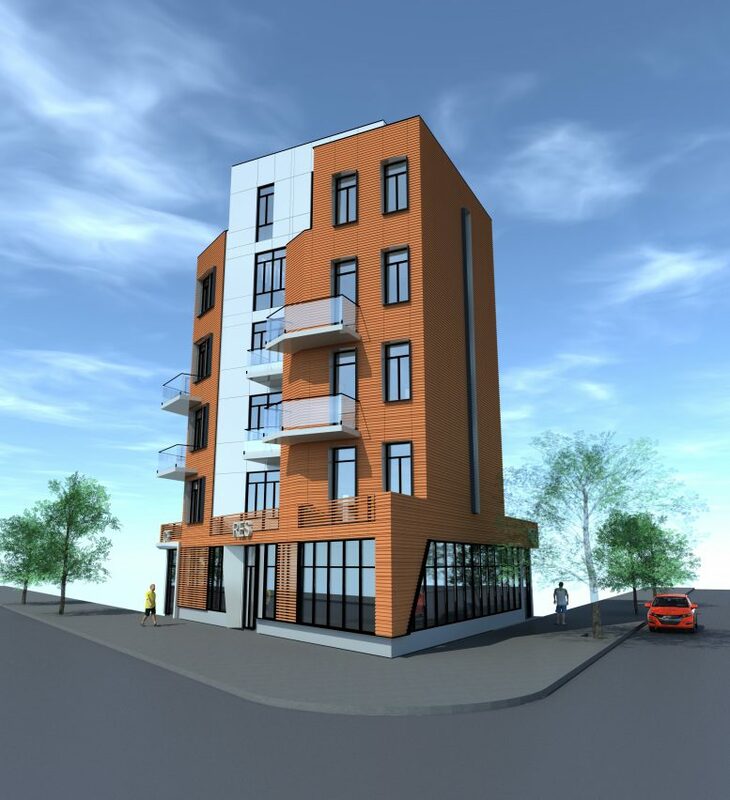 Seven apartments will be created, occupying half a floor apiece on floors one through four. There will also be a duplex on the top floor. Biz Designs will be responsible for the architecture. Demolition permits have been filed in April of this year. The estimated completion date isn’t known yet. 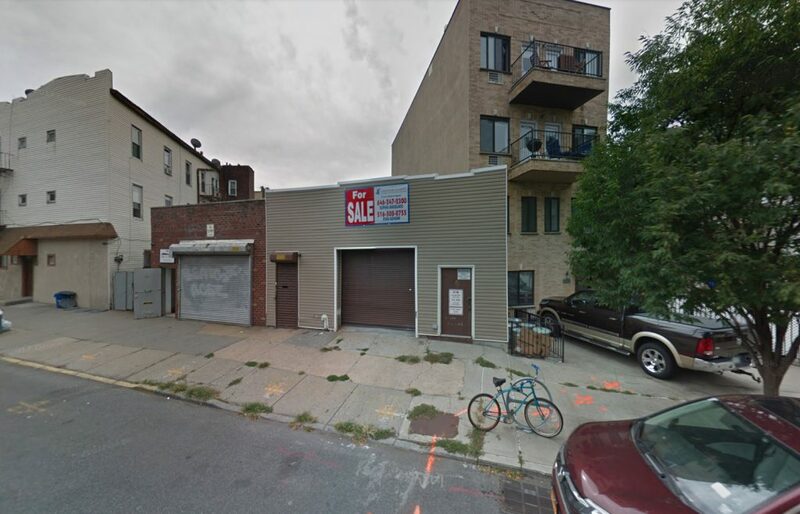 2 Comments on "Permits Filed, Rendering Revealed for 68 North Henry Street, Greenpoint, Brooklyn"
Smart move. Happy New Year staff of Yimby. The location is wrong. It is across the street. But by the sale signs on the other building, it’s days are numbered too.